Tegen was kindly cared for by her MW BREW fosters Erin and Julie Drake, who were kind enough to present me with the perfect Beagle on my birthday in August of 2012. I drove all the way from Minnesota to get her after seeing her profile on the MW BREW website. Something popped in my head, "That's my Beags!" She was too. Smart enough that I could talk to her like a person. She always seemed to understand. 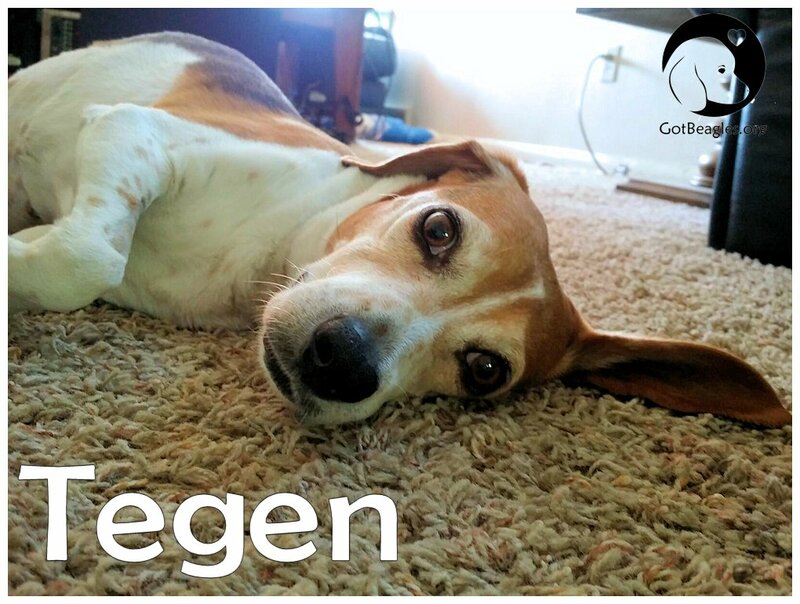 Tegen was the perfect mix of sweet, gentle, funny and stubborn. She lived for walks, loving time, bacon and Dingo chews. She loved all animals and people and each dog, cat, or human who met her adored her with ease. In her final weeks, the nurses at the vet offered to pay me to keep her there a few more days. Even when she was dying, she was still stoic and a joy, despite being in pain. What Tegen brought to my life was a consistent sense of calm, caring and a level of enjoyment and appreciation that has been impossible to replace.